The first and longest section, Prose from the Autumn in Gerona, reads like a series of scenes in a movie—an experimental European one—in which a narrator living in the Catalonia region of Spain reflects on his life and a nameless woman. The narrator is a familiar Bolaño creation that, as with so many of his literary personas, reflects the life of the author: a Chilean who has come to Spain via Mexico, an illegal immigrant, a poet imbued with a sense of alienation. Words, phrases, and images repeat themselves to create a shifting verbal “kaleidoscope” (one of the recurring words) that draws the reader inward. The next section, The Neochilians, is a verse narrative telling the adventures of a young band traveling through Chile and across the border into Peru. It is peppered with proper names of band members and those they encounter and the place names of the towns they visit. Straightforward narrative is interwoven with philosophical musing. Finally, A Stroll Through Literature is the most uneven section of Tres, burdened by an aimlessness that makes it seem as if it was just thrown together—a few lines on each page that are sometimes not all that interesting. 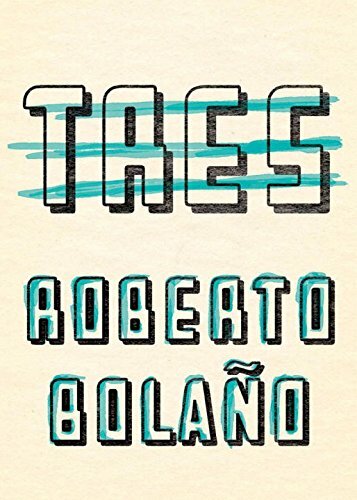 Señor Bolaño’s writing can haunt, exposing tears in reality and shifts in perspective and there is plenty in this collection to satisfy those who have already been hooked by the late Chilean’s occasionally flawed but always stimulating output.